We all know that password management is important, but what if investing an hour now in setting up a new password management system could save you nearly 50 hours every year? The very nature of online transcription requires using dozens of logins daily. Maintaining strong passwords takes time and effort. Add in trying to rely on memory or writing passwords down, and your system can quickly fall apart. 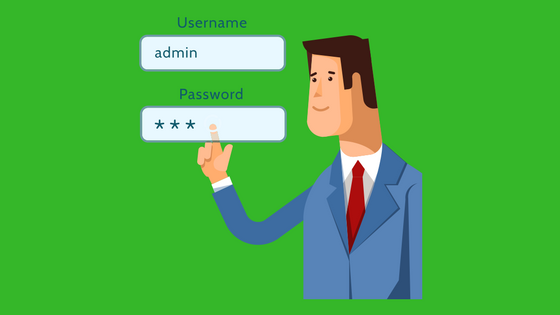 Luckily, a better password solution exists in the form of password manager software programs. They’re simple, easy to use (really, I promise), and inexpensive (even free). You probably already use text expanders, auto-correct, and macro features to save time and speed up your turnaround time. In addition, as a work-from-home transcriptionist, you already get to skip the daily commute, which helps you save countless hours. Password managers are another simple, time-saving tool you can add to your arsenal while improving your digital security. Most people haven’t put much thought into why passwords are so important. It’s helpful to think of passwords as digital keys. We all use physical keys to lock the house, car, safe, shed, etc. Your digital keys are just as important. Passwords control access to every corner of your digital life, including the social, financial, and professional aspects. With the average person spending 11 hours on digital media daily, our digital lives are huge. Considering that passwords are such important safeguards, knowing that 90% of user-generated passwords are vulnerable to hacking is disturbing. Good password practices are especially important for online transcriptionists. Working in the digital world means accessing dozens of applications to complete work, each requiring a separate sign-in. Most of the transcripts and audio you work with contain private information (social security numbers, medical information, etc.) that’s important to protect. Just imagine how you’d feel notifying a client that you’ve been hacked and their information exposed. Security mishaps like this could severely harm your business/career. You can help fortify against such a mishap by maintaining strong passwords as the first line of defense in protecting sensitive information. Creating and remembering strong, unique passwords are real problems. Many Americans would rather scrub toilets (yes, Janrain actually conducted a study on this) than come up with a new, secure username and password. Creating a concoction of letters, numbers, and symbols is simply no fun and writing down passwords is a terrible, yet common practice. Even if you keep written passwords in a locked drawer, referencing them is a very manual strategy. So, what ends up happening? Most people who write down their passwords end up doing what’s simplest—they use the same or very similar passwords everywhere. Hackers absolutely love it when you aren’t creative with your passwords. Once they expose one password, gaining access to the rest of your digital life is quite simple. So, what is an online transcriptionist to do when protecting client data is so important with so many passwords to remember? Simply put, password managers are applications that secure and organize all your passwords in one place. Most password managers also provide tools for automatically generating new, ultra-secure passwords that you could never remember otherwise. These applications live on your desktop and web browser, and they make logging into applications, such as e-mail, online transcription platforms, Facebook, and online banking, a one-click process. You can even have your passwords available and synced on your laptop, desktop, smartphone, and all your other devices. As a quick sidenote, I also want to mention that the built-in browser password managers that come with Internet Explorer, Chrome, and Firefox are inadequate. These built-in options often prompt you to save login information as you’re browsing. While they may be more convenient, the general consensus is that they’re less secure. Let’s take a look at three popular options that are either free or inexpensive. I’ve tested out all of them for you and can confidently say that, unlike the headaches that often come along with trying new software these options are easy to install, learn, and use. Any of these passwords managers are great options for anyone transcribing from home. I am using this password manager currently and have done so for several years. I love 1Password. Seriously, I couldn’t live without it. Google Chrome is my primary web browser, and 1Password offers a handy Chrome extension, making logging in to online applications simple. If I need to sign up for a new account, for example, an e-mail account, I enter in a username, 1Password generates a secure password, I click “save,” and the password is saved for all future sign-ins. It’s very handy. While 1Password works on all platforms (Windows, MAC, iOS, Android), it started on Macs, so some say it’s not as good on PCs. But I use 1Password on a PC and haven’t experienced any issues at all. 1Password provides browser extensions for Chrome, Safari, Firefox, and Opera, BUT they don’t have one for Internet Explorer. It’s also worth noting that 1Password does not store data in the cloud, which can be an important factor for certain users. If you want to sync passwords across devices (I do this), you can easily do so by using a free Dropbox account. 1Password costs $2.99 per month, billed annually for one person, and offers a 30-day free trial. LastPass is a very popular option and consistently receives top ratings. One of my favorite tech sites, Tom’s Guide, actually just awarded LastPass its Editor’s Choice award. LastPass takes a different approach to storing your passwords in that all your information is stored securely in the cloud; You don’t need to download a desktop application to manage your passwords. You can manage everything via their browser extension and online vault. One especially impressive and unique feature is the ability to use LastPass to log in to one’s desktop (not just browser) applications. This feature SOUNDS impressive, but when I tried testing it out, I couldn’t get it to work. Perhaps you’ll have better luck. I think that its impressive reviews and reputation, its appealing interface, and its broad support for a variety of devices and browsers make this password manager worth taking a close look. LastPass offers a free version and a premium version that runs $12/year (billed annually). This password manager is also one of the very popular options out there, and I’ve tested it previously for my own personal use. One feature that sets Dashlane apart is its password reset feature. This allows you to reset all your passwords at once. This feature is incredibly handy if, say, you’ve experienced a data breach and need to re-secure all your online accounts. From my personal experience and from what I’ve gathered via online reviews, most people find their desktop and mobile apps easy to use. However, some users find the web interface less than desirable, and this was my experience, as well. While browsing online, I felt like Dashlane’s large, clunky pop-ups kept appearing and prompting me to save login information. Other password managers, such as 1Password, have a much less intrusive interface. I didn’t dig into the settings to see if I could change this, but perhaps it could be tweaked. Despite the pop-ups, the software is still very usable and helps save considerable time. Dashlane offers a free version, and the premium edition will set you back by $40 per year. Learning new software takes work and is often frustrating, but password managers are as simple as software gets. Especially for online transcriptionists, your set up is worth the time you’ll ultimately save. Transcribing from home means you need improved password management than if you were in a corporate office with an IT department that monitors security issues. Juggling logins for various transcription software platforms, training programs, payroll systems, and so on means having many more passwords than your average computer user. That’s in addition to all the websites and software that require logins, which you use on a personal basis. All the password managers I recommend here offer either free or trial options, and I highly recommend that you give them a try. Note that neither the author nor Allegis Transcription receives compensation for mentioning these software products. Let us know what you think, or if you have a better option, in the comments section. I would like to use 1Password, because it seems simple to use and is relatively inexpensive.